Innamorta by Autumn Macarthur is the most charming Christian romantic novella. 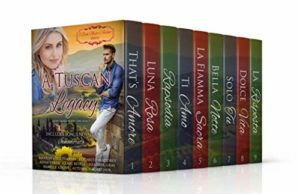 It is the tenth book in A Tuscan Legacy series which I adore but it can be read as a stand-alone. No matter how old you are, you can still dream big. While you still have breath, God’s not finished with you yet. Outside you may look eighty whilst inside you feel eighteen. You are never too old to rekindle a love. 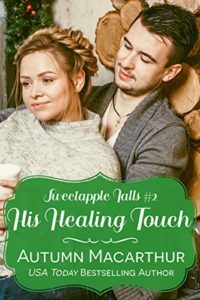 His Healing Touch by Autumn Macarthur is a delightfully warm Christian romance. It is the second book in the Sweetapple Falls series but can be read as a stand-alone. The novel’s main themes are love, loss and grief. Loss and grief can consume and strangle the love out of us if we let them. Living in the past, focusing on our losses is not living the life God intended for us. The past is dead. We need to learn to live again. We need a purpose and we need to trust again. In our hurt and pain, we may lose sight of God. “Hard to keep believing ‘Jesus Loves Me This I Know’ when real life smacked you in the face.” Life hurts but Jesus is bigger than our hurts. He asks us to love and trust Him. Whatever life throws at us, Jesus promises to walk beside us every step of the way. 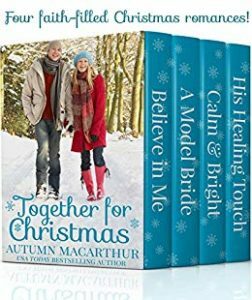 Together For Christmas by Autumn Macarthur is a delightful set of four of her books. All the stories are delightful with similar themes and revealing the heart of God. A Model Bride will also touch the reader’s heart – prompting an examination of one’s personal faith. As the Father’s heart is revealed within the novel, the reader is journeying too – hopefully towards a deeper faith and trust in God. 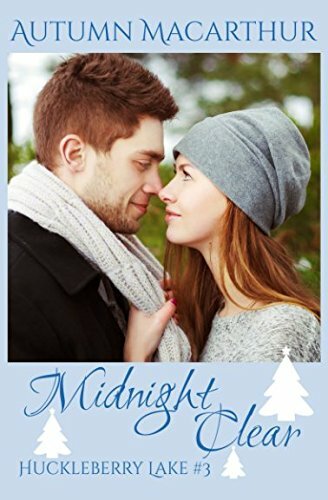 It can be read just for surface value, as the delightful story will leave the reader with a smile on their face and a warm fuzzy feeling in their heart. Or delve deeper, and strengthen your own personal faith in God. Calm And Bright has themes of second chances, choices, trust and faith in God. It is never too late to choose surrender to God. God can give us all new beginnings because of His grace. Midnight Clear by Autumn Macarthur is the most delightful contemporary Christian romance. It is the third book in the Huckleberry Lake series. It will warm your heart whilst simultaneously tugging at your heartstrings. You will be smiling one minute and wiping tears the next. This story is one of great joy and even greater pain. The reader is drawn into the story from the start. From teasers we know something truly awful happened but we question what, why and when.